Games have always had puzzles and they probably always will. However, the tendency has always been, in my experience, towards puzzles that involve interaction — arranging objects by button-pressing or pushing them around a tight environment, Crystal Maze type stuff. These might require a bit of lateral thinking, but unless there are a million buttons that move the objects in different pattern there’s no need to write anything down. And, well, these are computer games — is it really desirable to push the solution out of the game space? On the other hand, there are riddles. Word puzzles that are made somewhat easier by the tendency for them to be embedded in conversation systems where there are only a finite number of possible responses, so if you don’t get it from the riddle alone you can probably match the answer by working backwards from the options. So when D:TRoT dropped this stonker on me, I was somewhat surprised. I can’t imagine any game other than one grown from pen-and-paper RPG heritage using a puzzle like this, and certainly no triple-A next-gen console title is going to make you think so hard you have to write it down (people hardly finish these games as it is). Somewhere along the way, Robe became a viking. Basically, there was a series of non-trivial relationships between the types of weights in each crate. I wrote all the rules down and generated a workspace. I picked a number to start from (Crate 3’s rules were, considering the number of objects involved, the most constrained, so I started there), and followed the rules into each crate. It only took me two tries, as you can tell by the scribbling. 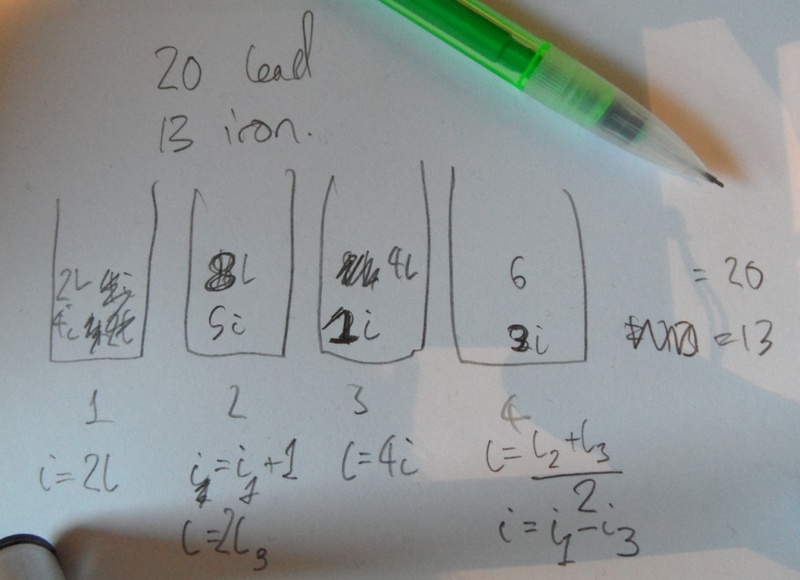 I’m sure there would be a more mathemagical way to solve the problem with simultaneous equations and all that jazz, but I couldn’t be bothered going that far and trial-and-error did the job. I have to stress that it didn’t put me off in any way; I was just momentarily stunned. It was a case of information overload — I read the puzzle rules, realised that they kept going and weren’t going to be easily fudged, and went for the pencil. The fact of the puzzle wasn’t unexpected (the level had already presented some much more traditional game puzzles), but its form certainly was. No, Drakensang, you’ll have to try harder than that to stop me from loving you. This entry was posted in Gaming and tagged challenge, Drakensang, paper, pencil, puzzle, The River of Time by Rao Dao Zao. Bookmark the permalink. Me too. 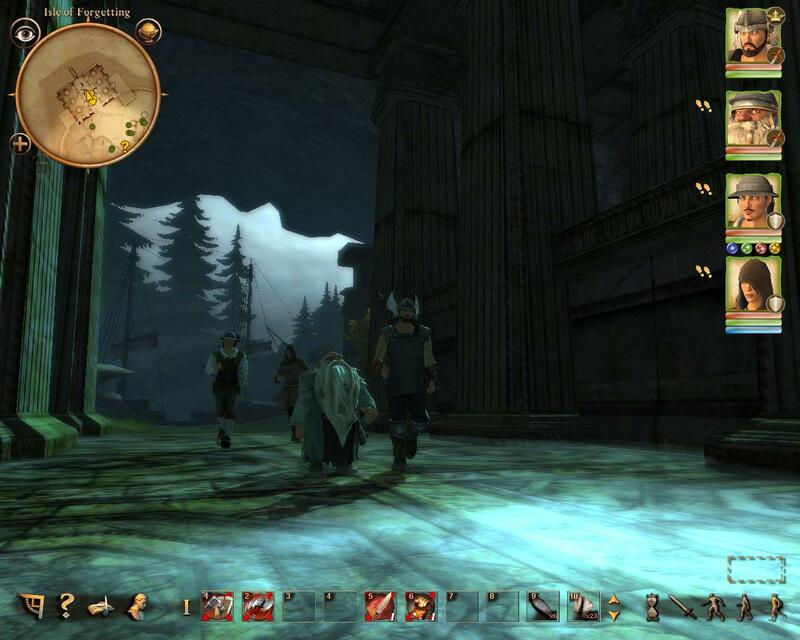 Anyway, Drakensang Online is a not too bad browser-based MMO with a Diablo-like gameplay. It has some potency, so the world of Drakensang lives on. I discovered Drakensang with Eye of the Dragon years ago. I just had not enough cash to buy TRoT in time, so it rested on the shelves in the shop for long. Well, it’s only natural that the amount of detail went up — Baldur’s Gate is brilliant but it’s still a 2D top-down isometric and there’s only so much you can do with that (not to mention the whole “More than 300MHz” processor question in the installer showing how much they expected of the host system). I impulse-bought Drakensang out of nowhere because there was a special offer and my friend was buying only one game at the time. Best impulse-buy ever, I’d say. I’ve read the rules 3 times and searched for a starting point. From there it was all logical. But I will always stand by it. Proper quality.